Apple’s ‘One More Thing’ at last week’s event was the unveiling of its smartwatch. But the show didn’t end there. Bono and Tim Cook made a big deal out of the fact that they could send the album to every iTunes user in the world for free at the touch of a button, and that’s just what they did. The stunt reportedly cost Apple $100 million. Unfortunately, not every iTunes user actually wants the latest U2 album. 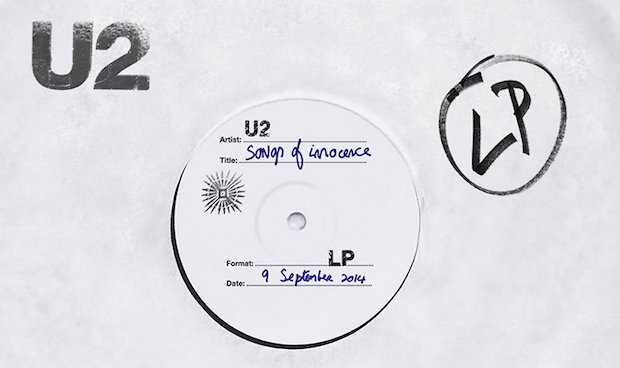 Despite the fact that the album is provided for free, there are numerous people that dislike U2 enough to want to delete the album from their music library and purchase history entirely — enough that Apple has felt the need to create a special tool for removing the offending album. The company today published support notes detailing how to use the tool. There isn’t a whole lot to the process. You visit itunes.com/soi-remove and click ‘Remove album.’ Then you’ll have to sign in with your Apple ID to confirm the removal of U2’s latest. 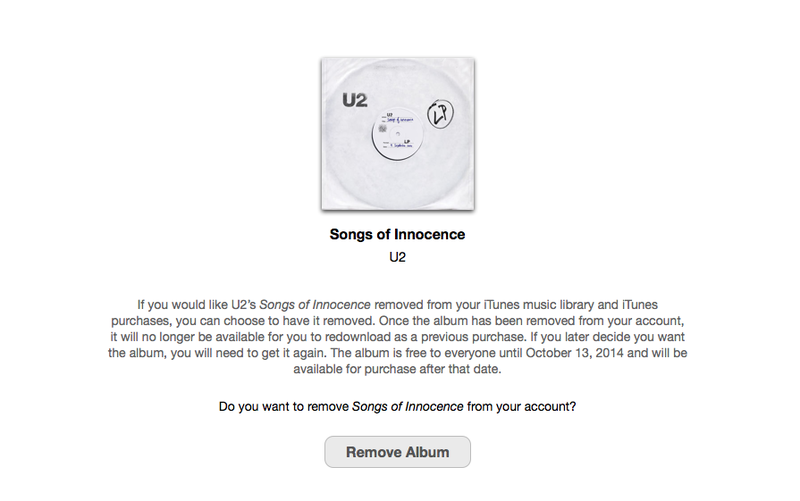 Note that if you remove Songs of Innocence using this tool, you won’t be able to re-download it as a past purchase. But if you’ve gone to such trouble, you likely wouldn’t want to.